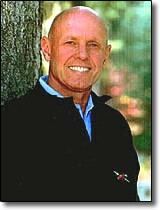 Stephen R. Covey, one of Time magazine’s twenty-five most influential Americans, has dedicated his life to demonstrating with profound yet straightforward guidance how every person can control his or her destiny. He is an internationally respected leadership authority, family expert, teacher, organizational consultant, and author. With his pioneering work in Principle-Centered Leadership, Stephen R. Covey is widely acknowledged as one of the world’s leading authorities on empowerment. Thousands of organizations worldwide–including two thirds of the Fortune 500–have adopted his innovative techniques on quality, leadership, innovation, trust, teamwork, customer-focused service and organizational alignment. He has sold over 20 million books and The 7 Habits of Highly Effective People was named the #1 Most Influential Business Book of the 20th Century. His most recent major book, The 8th Habit, has sold nearly 400,000 copies. The book’s message has created lasting impact, its sales keeping it on numerous best-seller lists for more than five years running. The 7 Habits of Highly Effective People audio program is the first non-fiction audio in history to sell over one million copies in the United States. Dr. Covey received an MBA from Harvard and a doctorate from Brigham Young University, where he was professor of organizational behavior and business management. His many awards include the Thomas More College Medallion for continued service to humanity and the Mc-Feely Award from the International Management Council for significant contributions to management and education. Dr. Stephen R. Covey is co-founder/co-chairman of Franklin Covey Company, the largest management and leadership development organization in the world, dedicated to Dr. Covey’s vision of empowering organizations to implement principle-centered leadership in their cultures. Stephen R. Covey passed away peacefully on July 16, 2012. In his final hours, he was surrounded by his loving wife and each one of his children and their spouses, just as he always wanted. His message will continue to inspire and educate generations to come.